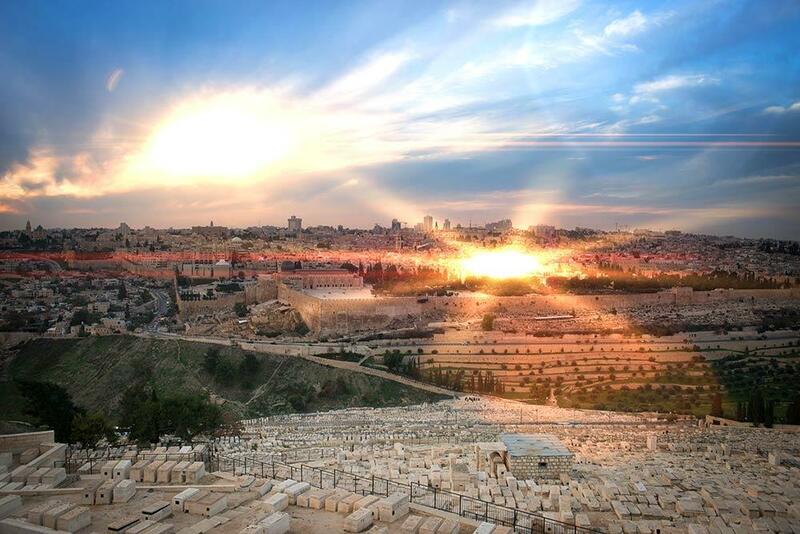 When Israel becomes the core of Messianic Judaism, it will illuminate the whole world. The “city on a hill” is not merely an illustration; it’s an endearing name for Jerusalem: ir al tillah (עיר על תלה), based on Jeremiah 30:18. The “good works” to which he refers are the commandments of the Torah. Proverbs 6:23 teaches that “the commandment is a lamp and the [Torah] a light” (Proverbs 6:23). It seems that our Master unifies the city of Jerusalem, the Torah, and the Jewish people under the banner of the “light of the world.” It is likewise fitting that he called himself the “light of the world” (John 8:12, 9:5) as he taught people the Torah in Jerusalem and throughout the land of Israel. 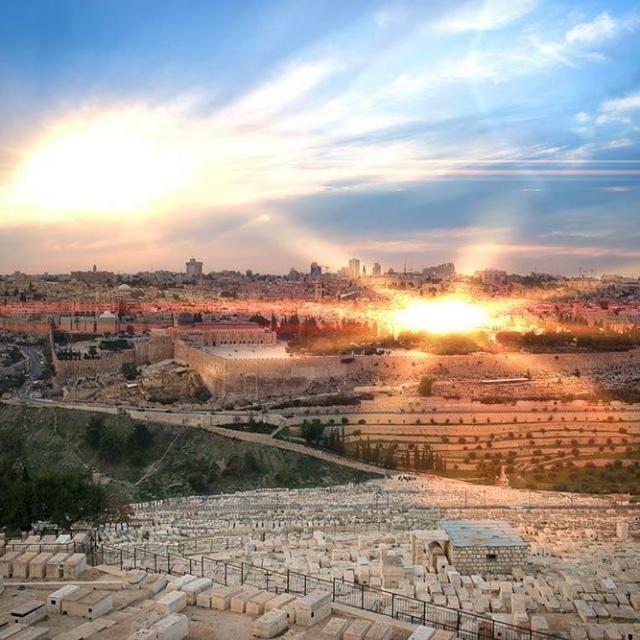 Just as Yeshua used the term “light of the world,” the sages used the same term in connection with Jerusalem, the Torah, and the Jewish people. Some midrashim also teach that the primordial light of creation (that is, the light of the world) was saved up for the Messiah. Messianic Judaism is not merely a collection of Jewish people who recognize the identity of the Messiah. We are called to establish and constitute his kingdom here and now—a present-day realization of the promises of the Messianic Era. What does that future kingdom look like? Isaiah and Micah both envisioned the Messianic Era by saying that “out of Zion shall go forth the law, and the word of the LORD from Jerusalem” (Isaiah 2:3; Micah 4:2). Jerusalem is the focal point of Torah; it is the starting place from which it will encompass and illuminate the whole world. We believers in Messiah have had God shine in our hearts to give the light of the knowledge of the glory of God in the face of Yeshua the Messiah (2 Corinthians 4:6). When Messianic Judaism rises to its full potential, it will look very much like the vision of the prophets. When Jewish people who are followers of Yeshua keep the Torah in the land of Israel, the world will be flooded with that light: “her righteousness goes forth as brightness, and her salvation as a burning torch” (Isaiah 62:1). There are now more Jews living in Israel than in any other country on earth. Even though a majority of the society is secular, the combination of Jewish people and the land of Israel seems to bring an unparalleled energy and global impact. We constantly hear about medical and technological breakthroughs, innovations, and developments coming from Israel. It’s easy to see what would happen if Israeli society were to come alive with the revelation of Torah and Messiah! In the last few decades, history has come to a dramatic point. There are millions of Jews in Israel. There are many thousands of Jews in Israel keeping the Torah. There are also thousands of Jews in Israel who follow Yeshua the Messiah! And yet, the light-of-the-world “circuit” is not complete. In Israel, Messianic Judaism barely exists. A vast majority of Israeli followers of Messiah practice a culturally-adapted form of Evangelical Christianity. They readily identify themselves as Messianic Jews attending Messianic congregations, but Messianic Judaism is not a commonly used term. That is because they typically perceive Judaism as antagonistic and incompatible with the Messiah and the gospel. Many factors have contributed to the current condition, including the strong influence of Christian missionaries in the formative years of Israel’s community of Yeshua followers. Pressure from anti-missionaries and the strong segmentation of Israeli society into secular and religious categories have made this reality into a vicious cycle. As a result, there is little opportunity for Yeshua followers in Israel to be exposed to a positive view of Torah observance in continuity with the Jewish people. There are no venues for learning and studying together with knowledgeable, Torah-positive disciples of Yeshua. The vicious cycle must be broken for the light-of-the-world “circuit” to be completed. At First Fruits of Zion, our Abba in heaven has truly impressed on us the need to turn our eyes to where his are constantly focused: the land of Israel. American Messianic Judaism is struggling; Israel is where our future lies. When Israel becomes the strong core of Messianic Judaism, its influence will revitalize and breathe life into Messianic Judaism all over the world. In 2015 we took some steps of faith as the Spirit has impressed on us and opened a learning center in Jerusalem. The Bram Center for Messianic Jewish Learning has been established for a little over a year, and the impact it has made on the community thus far has been nothing short of amazing. We continue to see lives changed and the reputation of Yeshua, the Jewish Messiah, being restored to his brothers. Now that we have been able to expand the facility, by God's provision, we are poised to be a vibrant hub for the Torah and the love of Yeshua to go forth from Zion. This is just what the Messianic community needs, and now is the time for Israel to arise and shine with the light of the world.